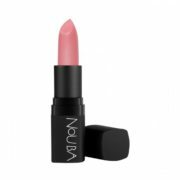 Nouba - Lipstick - 37 - 111Silk effect lipstick. Smooth texture with high sensoriality thanks to the careful selection of spherical powders and waxes. Envelops the lips of color and brightness.